Adapting a novel into an anime can be a rather difficult task. While light novels adaptations are very common nowadays, actual novel adaptations can be difficult simply because of the amount of detail that your average novel contains can be difficult to cram into even a 25 episode anime series. However, outside of some questionable time-skips, From the New World told a successful story in Collection One. The question is, will this story continue successfully in Collection Two? It should go without saying that for those who have not watched the first thirteen episodes found in From the New World Collection One, that this review will contain spoilers from the first half of the series. That being said, the story picks up immediately where it left off with Saki, Satoru, Mamoru, and Maria outside of the village after tracking down the runaway Mamoru who fled the village fearing for his life. 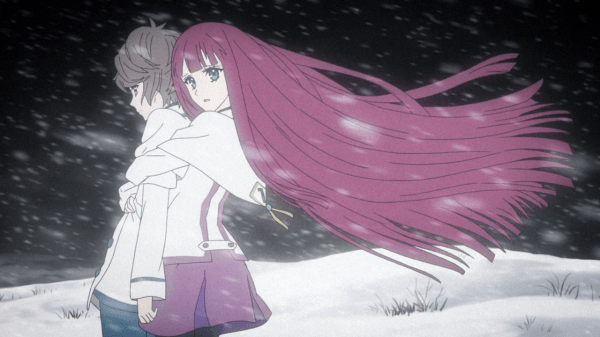 Unable to convince Mamoru or Maria to return to the village due to some of the dark truths the group has learned over the course of the story, Saki and Satoru return alone, only to be forced back into searching for their friends in order to save them from being assigned for death by the Board of Education. Despite returning to where they left them, neither Maria or Mamoru can be found but Saki and Satoru do come across a familiar Monster Rat colony that is now being led by Squealer. After spending time with Squealer’s Robber Fly colony, the two realize that Squealer’s colony has made drastic technological advancements in such a short time and have completely changed the way that they rule themselves. 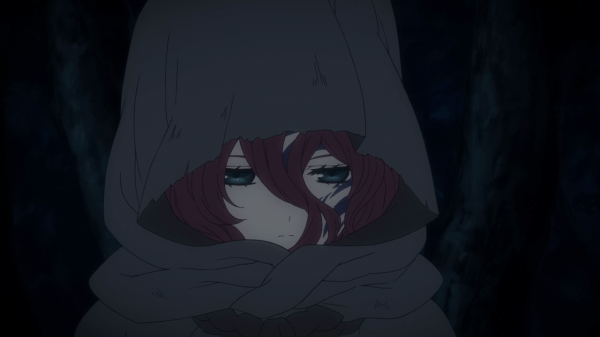 With the help of Squealer and his soldiers, Saki learns that Maria and Mamoru have left them with no intention of ever returning to the village and disappeared into the wilderness. Accepting the loss of their friends, time moves forward several years to the point that Saki is now in her twenties and has taken up an administrative position within the village. 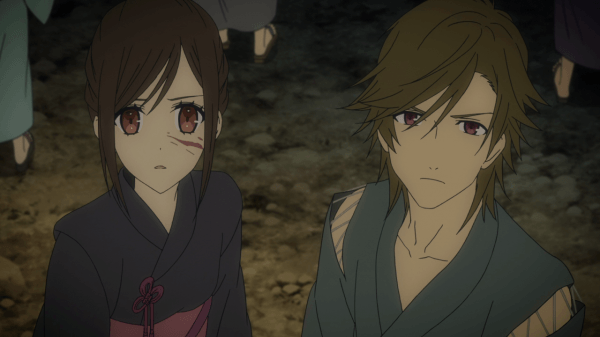 Where the first half of the series focused mostly on building the world and establishing the character base, it is only a sample of what occurs in the second half. 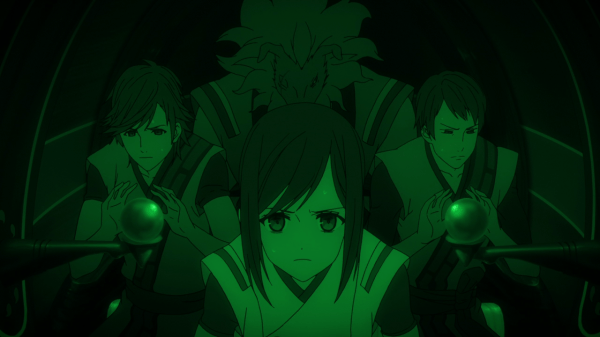 While everything up to this point has given viewers glimpses and hints at the darkness that has led up to the way society is in From the New World, this time skip marks the point where the story takes its darkest turn yet, placing everything that Saki had learned and humanity at the risk of annihilation. The running themes throughout From the New World all deal with morality being a gray issue. The series poses questions such as how humanity is currently at peace, are the means that are forced upon the villagers worth doing so at the sake of their freedom? What does humanity truly mean and to what ends would someone go to in an effort to better their lot in life, even if it means throwing away everything to do so? To describe what happens further would due this series and anyone waiting to watch it a disservice as the events that take place, the various twists that occur, and the moral quandaries that arise make From the New World Collection 2 a satisfying end to the series, especially in regards to a shocking truth that is revealed in the final episode and the terrible journey that Saki had to go through simply to survive in a journey where even victory means returning to a world fraught with darkness. Unlike the first half of the series where a certain episode contains unique looking character designs, all of Collection 2 retains the same standard look found through the rest of the series. The environments that the characters traverse are still very impressive looking with a lot of attention to detail while the characters themselves are presented the same. It is worth noting that in the second half of the series, I noticed that the quality of the character artwork actually dipped a number of times throughout the release, which is disappointing as it did not occur nearly as much throughout the first half. As far as the Monster Rats are concerned, their artwork and designs actually improved over the course of the series, though this is likely intentional due to their role in the story. It is also worth noting that From the New World is not a series to shy away from blood and death and although the level of actual gore is low, the amount of twisted bodies and exploding silhouetted heads is quite high. As with the first release of the series, Collection 2 comes with both the English and Japanese voice track with the English cast retaining their roles. One thing that really caught my attention is how each of the voice actors for the children managed to properly age their voices to match the current age of their character in the English dub. Considering how many time skips are used in the series, especially in this release, the aging of the voices in the English dub fit far better than voice actor changes used in the Japanese dub. The sound effects and background music used throughout much of From the New World helps provide a dark atmosphere that is essential to many parts of the storyline. As far as themes go, there is no opening theme used for the second half as this time is instead used to continue the story while the ending theme “Yuki ni Saku Hana” is introduced partway through this release and is performed by the Japanese voice actress for Maria, Kana Hanazawa. From the New World Collection 2 comes with the bare minimum amount of bonus features. 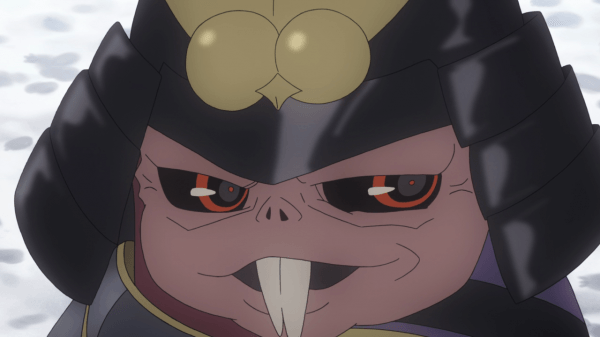 There is only a clean closing animation and Japanese promotional material alongside trailers for other Sentai Filmworks anime and the disc credits. From the New World tells a complex story full of mystery and dark thought provoking ideas that will leave a haunting impression on the viewer. There are very few storylines that are capable of evoking such a powerful storyline while also raising questions about society as a whole. 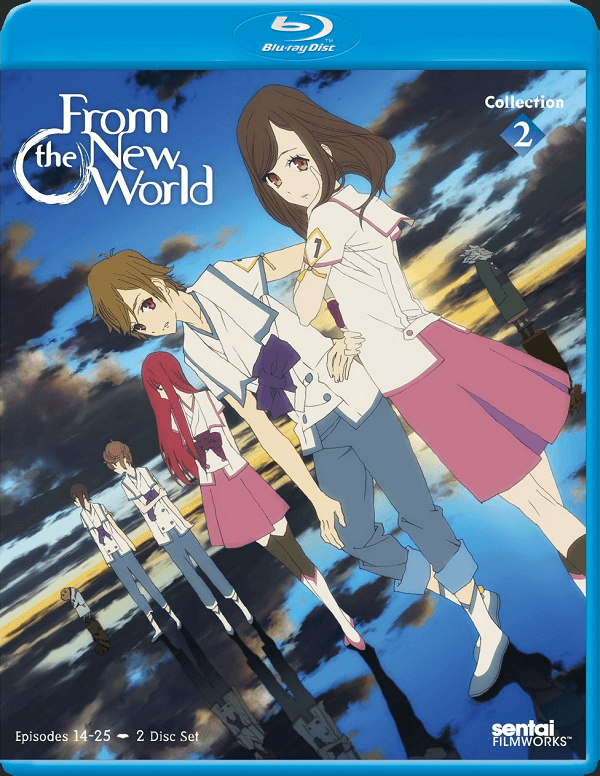 With Collection 2 bringing the series to a close with a chilling revelation that many may have feared, From the New World offers a compelling and enjoyable viewing experience that will be remembered for quite some time.